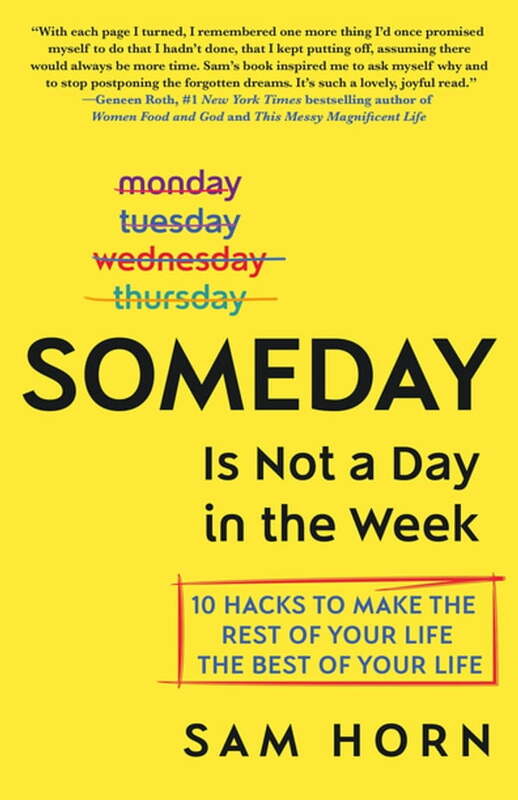 Full of inspirational insights and advice, lifehacks, and real-world examples, Someday is Not a Day in the Week is CEO Sam Horn’s motivational guide to help readers get what they want in life today rather than "someday."  Busy taking care of everyone but yourself?  Wondering what to do with the rest of your life?  Planning to do what makes you happy someday when you have more time, money, or freedom? The surprising insights about what makes people happy or unhappy, what they’re doing about it (or not), and why...will inspire you to carve out time for what truly matters now, not later. Life is much too precious to postpone. It’s time to put yourself in your own story. The good news is, there are “hacks” you can do right now to make your life more of what you want it to be. And you don’t have to be selfish, quit your job, or win the lottery to do them. Sam Horn offers actionable, practical advice in short, snappy chapters to show you how to get started on your best life — now.